Did anyone else notice that creature in the corner? 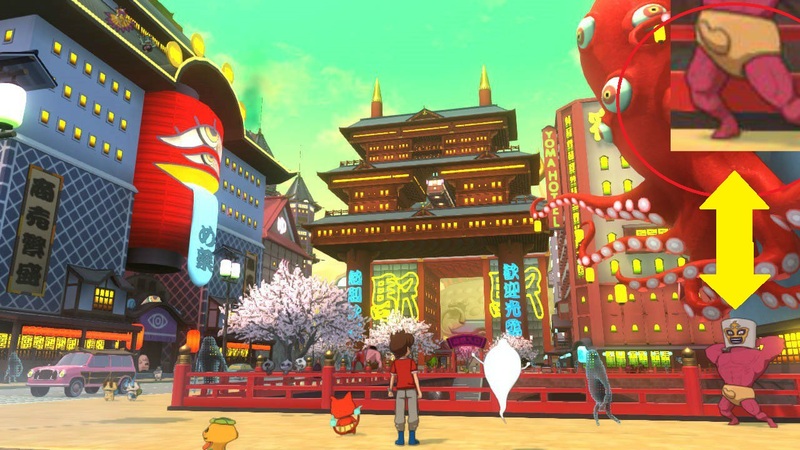 Yo-Kai Watch 4 was going through some growing pains last year, but after a seasonal delay it seems like the game is back on track. Box art is locked in, it's still a Switch exclusive, and it's set for a June 6 release, just in time for E3 excitement season. Before that rolls around though (and folks all over the world look to import it, given our western-less time frame), 4Gamer gave us a look at what's to come. First up is Yo-makai, a location from one of the films that will be a hotspot in the game, as well as the fact that there will be six total swappable protagonists that each have their own powers. Party members can now be gained with an additional mechanic called "Soul Matchmaking," which is led by a super cute (but kind of sinister) monkey butler. Several new Yo-Kai, a few of which have creepier "darkside" versions, are also confirmed, as well as four new Yo-Kai Watch physical toys. If you're just getting into Yo-Kai Watch, you can read our full guide/explainer here. So uh, how about that guy in the corner in the above Yo-makai screen?